Weather this week has been clear but cold and windy. We’ve explored about 10 miles from camp around Alligator Peak, with some good finds of dense bone beds of Devonian fish remains. Our collections from this expedition continue to grow. More details of what we’ve found will need to wait for further examination back at the Academy. 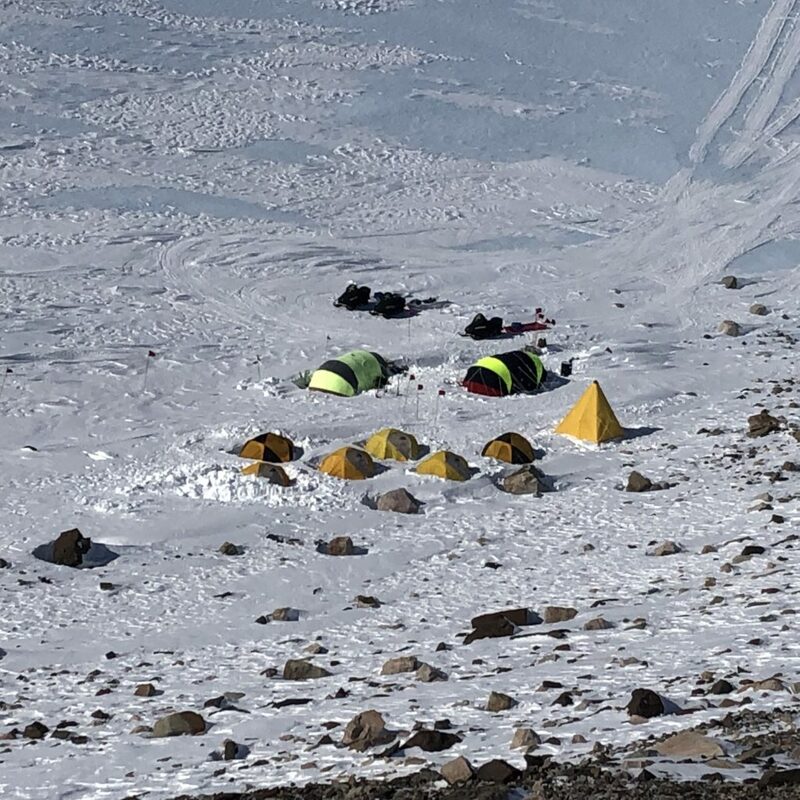 Photo: Our field camp for the past several weeks at the base of Mt. Ritchie, southern Warren Range, Deception Glacier region. We expect to wrap up the fieldwork this week, if weather and logistics cooperate for our extraction via Twin Otter aircraft. We are in our fourth week at our field camp, and the idea of getting back to McMurdo Station is very appealing. It has been a physically challenging, but a scientifically productive trip thus far. Looking forward to sending my next report from back at McMurdo. For last week’s report from Antarctica, click on this link.